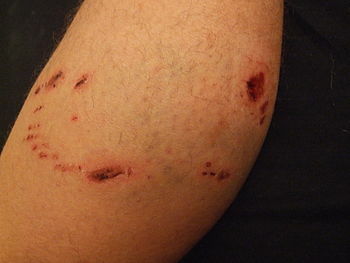 Dog bite incidents have been causing a great deal of concern in California — and to a Long Beach dog bite lawyer like myself, this trend is worrying. According to newly released numbers from California’s office of statewide health planning and development, doge bite incidents involving adults have been increasing dramatically since 2005. Between 2005 and 2015, these numbers have shown that serious dog bites that require emergency room visits and treatment have increased by a whooping 44 percent. According to many safety advocates, this means that dog owners are doing barely enough to ensure their pets are not posing a risk to others. In many cases, Californians want pets to serve as home defense systems that will bark at invaders or other animals. But all too often, these dogs are left neglected — and the result is poor behavior. If dog owners do not put their time into training their dogs to be sociable, these animals should never be allowed to be left out in the public, even for walks. Unless pet owners are conscious of the importance of ensuring their pets are well trained, they will continue to expose countless innocent victims to injuries that are oftentimes life-changing. According to the data, rural counties still have the highest number of dog bite incidents per capita than urban counties. Nevertheless, many guard dogs that are also family pets can also pose risks to members of their own families. Learning how to identify signs of aggression and other behavioral problems can help pet owners to handle their animals correctly without jeopardizing the safety of others, especially in their own homes. Owning a pet is a responsibility, and if you’re not serious about taking care of it properly, you’re not responsible enough to ensure your dog won’t be the attacker in a dog bite incident.